This Agreement contains a binding arbitration agreement, which provides that you and we agree to resolve certain disputes through binding individual arbitration and give up any right to have those disputes decided by a judge or a jury. You have the right to opt out of our agreement to arbitrate. See Section 1 below. Caring.com and its affiliates were created to help the more than 40 million adult caregivers in the United States care for their aging parents and other loved ones, with helpful information and guidance on everything from health and housing to finances, legal issues, and family matters. Our mission is to give caregivers the information and other resources they need to help make better decisions, save time, and avoid feeling alone. Our Services provide hundreds of helpful articles, expert information, time-saving tips and checklists, easy-to-use tools, and personal support from a large community of caregivers. We also connect to other websites that may provide you with information, tools and other resources. Caring.com is an informational resource to help you assist your aging parent or loved one. While we hope to provide you with useful information and assistance, we do not provide medical advice, diagnosis, or treatment; legal, financial, or professional advice; or specific advice regarding which service providers you should use. Any decisions that you need to make about the care of a loved one should be made after engaging and consulting with a professional licensed service provider based upon your specific needs or conducting your own careful review and investigation. You acknowledge that this Agreement is supported by reasonable and valuable consideration, the receipt and adequacy of which is hereby acknowledged. Without limiting the foregoing, you acknowledge that such consideration includes, without limitation, your ability to visit, use and/or submit information to our Services. You Must Maintain the Security of Any Password Issued to You. If our Services require you to create a password to use certain portions of our Services, then it is your sole responsibility to maintain the security of that password. You agree that we shall not be liable for any loss that you may suffer as a result of the authorized or unauthorized use of your password by a third party. You shall not allow any person under the age of 18 to use any Service via your registration or password. You Must Notify Us of a Breach. You agree to immediately notify us of any unauthorized use of your password, any unauthorized use of any account that you may have with us, any violation of this Agreement, or any other breach of security known to you in connection with any product or service available on our Services by contacting us. You Are Responsible for Your Decisions. 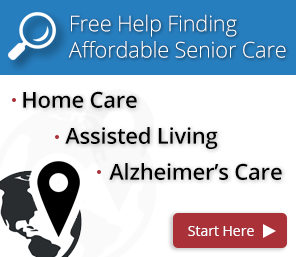 We and our affiliates, through the Services, may provide a venue through which you can obtain information and you can find third-party service providers, such as assisted living, senior living, and eldercare providers ("Service Providers"). We do not endorse or recommend the products or services of any Service Provider, and are not an agent or advisor to you or any Service Provider. We do not validate or investigate the licensing, certification or other requirements and qualifications of Service Providers. It is your responsibility to investigate Service Providers. You acknowledge and agree that Service Providers are solely responsible for any services that they may provide to you and that we are not liable for any losses, costs, damages or claims in connection with, arising from, or related to, your use of a Service Provider's products or services. We urge you to obtain the advice of financial advisors, insurance agents, brokers or other qualified professionals who are fully aware of your individual circumstances before you make any senior living decisions. You acknowledge and agree that you rely on your own judgment and that of such advisors in selecting any products or services offered by Service Providers. You Acknowledge and Agree that We are Not a Service Provider. We are not a financial institution, insurance provider, senior living provider or other Service Provider. Instead, we, through our Services, may help to connect you with Service Providers that might meet your needs based on information provided by you. We do not, and will not, make any decision with any Service Provider referred to you. No Guarantee of Quotes, Fees, Terms, Rates, Coverage or Services. We do not make any warranties or representations regarding the quotes, fees, terms, rates, coverage or services offered or made available by Service Providers. We do not guarantee that quotes, fees, terms, rates, coverage or services offered by Service Providers are the best available. You Do Not Pay Fees to Us for Basic Services_. Unless you are a Service Provider or order a specific service through our Services, we do not charge you a fee to use our basic Services. Service Providers may pay us fees for services and to be matched with users of our Services, however. We are not involved with and are not responsible for any fee arrangement that you may enter into with any Service Provider. You acknowledge and agree to this compensation arrangement. You hereby release us of any and all losses, costs, damages or claims in connection with, arising from or related to your use of a Service Provider's products or services, including any fees charged by a Service Provider. Requests for Quotes or Offers. Our Services may give you the opportunity to request to be matched with and receive quotes, information or offers from Service Providers (a "Match Request"). Portions of our Services providing this opportunity (the "Match Request Areas") are only available to residents of the United States, and may not be available in all states. We make no guarantee that you will be matched with a Service Provider if you submit a Match Request. If you make a Match Request, then you expressly authorize us, and up to twelve (12) Service Providers or their agents or partner companies, to contact you by telephone, fax and email at the numbers and addresses provided in your Match Request, for purposes of providing you with the information, quotes, products and services indicated in your Match Request. You consent to receive telephone calls from Service Providers and us, even if the phone number that you provided on your Match Request is on any "Do Not Call" list. You also consent to Service Providers and us making recorded calls to remind you of deadlines or other issues in connection with your Match Request. Access and use of our basic Services are free. At any time, we may choose to charge fees for various premium features and services, and we will notify you of those charges at the time that we offer features and services for a fee. We may, in our sole discretion, and by notifying you on our Services, change this policy and begin charging for access to our Services and other features and services, and we may, in our sole discretion, add, remove or change the features and services we offer or the fees (including the amount and type of fees) we charge at any time. If we introduce a new service or charge a new fee, we will establish and notify you of the fees for that service at the launch of the service or start of charging a new fee. If we notify you of new fees or changes to fees for an existing service, then you agree to pay all fees and charges specified and all applicable taxes for your continued use of the applicable service. Our Services may act as a venue, through online support groups, senior services reviews, article and question comments, messaging, chat rooms, bulletin boards and other forums (collectively, the "Forums"), allowing the users to contribute information and make statements ("User Generated Content"). Please be aware that these areas are public and not confidential. As a result, neither we nor our advertisers endorse any User Generated Content in the Forums, and you hereby acknowledge and agree that neither we nor our advertisers have control over the User Generated Content submission’s quality, correctness, timeliness, safety, truth, accuracy or legality by you or any other person or entity in the Forums. You may find User Generated Content posted in the Forums by other users to be offensive, harmful, inaccurate or deceptive. Please use caution and common sense, and do not rely solely on User Generated Content published in the Forums. It is neither our nor our advertisers’ responsibility to ensure all posts and questions submitted on the Forums are answered. Without limiting the generality of the foregoing, and although we have no duty to monitor User Generated Content and are not responsible for such postings, we reserve the right (but not the obligation) to remove or edit any User Generated Content in the Forums, for any reason or no reason, in our sole discretion. Immediately report problems with the Forums to us at [email protected]. If you transmit, submit or post information to our Services that is not Federally trademarked and/or copyrighted, you automatically grant us and our assigns the worldwide, fully-paid, royalty-free, exclusive right and license to use, copy, format, adapt, publish and/or incorporate any or all such information in any media whatsoever, including, without limitation, the Content (as defined below). Provided that you have obtained prior written permission from us to transmit, submit or post information to our Services that is Federally trademarked and/or copyrighted, you automatically grant us and our assigns the worldwide, fully-paid, royalty-free right to use, copy, format, adapt, publish and/or incorporate any or all such information in any media whatsoever, including, without limitation, the Content. Our names, graphics, logos, page headers, button icons, scripts, and service names are our trademarks or trade dress in the United States and/or other countries (collectively, the "Proprietary Marks"). You may not use the Proprietary Marks without our prior written permission. We make no proprietary claim to any third-party names, trademarks or service marks appearing on our Services. Any third-party names, trademarks, and service marks are property of their respective owners. The information, advice, data, software and content viewable on, contained in, or downloadable from our Services (collectively, the "Content"), including, without limitation, all text, graphics, charts, pictures, photographs, images, videos, line art, icons and renditions, are copyrighted by, or otherwise licensed to, us or our Content suppliers. We also own a copyright of a collective work in the selection, coordination, arrangement, presentation, display and enhancement of the Content (the "Collective Work"). All software used on or within our Services (the "Software") is our property or the property of our software vendors and is protected by United States and international copyright laws. Viewing, reading, printing, downloading or otherwise using the Content and/or the Collective Work does not entitle you to any ownership or intellectual property rights to the Content, the Collective Work, or the Software. We grant you a limited license to access, print, download or otherwise make personal use of the Content and the Collective Work in the form of: (i) one machine-readable copy; (ii) one backup copy; and (iii) one print copy, for your non-commercial use; provided, however, that you shall not delete any proprietary notices or materials with regard to the foregoing manifestations of the Content and the Collective Work. You may not modify the Content or the Collective Work or utilize them for any commercial purpose or any other public display, performance, sale, or rental, decompile, reverse engineer, or disassemble the Content and the Collective Work, or transfer the Content or the Collective Work to another person or entity. You may not use any meta tags or any other "hidden text" utilizing our name or trademarks without our prior written permission. You agree that you will not use any robot, spider, scraper, deep link or other similar automated data gathering or extraction tools, program, algorithm or methodology to access, acquire, copy or monitor our Services or any portion of our Services or for any other purpose, without our prior written permission. Additionally, you agree that you will not: (i) take any action that imposes, or may impose in our sole discretion an unreasonable or disproportionately large load on our infrastructure; (ii) copy, reproduce, modify, create derivative works from, distribute or publicly display any content (except for your personal information) from our Services without our prior written permission and the appropriate third party, as applicable; (iii) interfere or attempt to interfere with the proper working of our Services or any activities conducted on our Services; or (iv) bypass any robot exclusion headers or other measures we may use to prevent or restrict access to our Services. Notwithstanding the foregoing, we grant the operators of public search engines permission to use spiders to copy materials from our Services for the sole purpose and solely to the extent necessary for creating publicly available search indices of the materials on our Services, but not caches or archives of such materials. We reserve the right to revoke these exceptions either generally or in specific cases. Except as expressly permitted in this Agreement, you shall not collect or harvest any personally identifiable information, including account names, from our Services. You shall not use any communication systems provided on our Services (such as Forums or email) for any commercial or solicitation purposes. You shall not solicit for commercial purposes any users of our Services without our prior written permission. You are responsible for obtaining and maintaining all telephone, computer hardware, Internet access services and other equipment or services needed to access and use our Services, and all costs and fees associated with Internet access or long distance charges incurred with regard to your access and use of our Services. There may be provided on our Services links or access to other websites or mediums belonging to our advertisers, business partners, affiliates, Service Providers and other third parties. Such links and access do not constitute our endorsement of those third parties, nor the products or services of those third parties. We are not responsible for the activities or policies of those third parties. We are not responsible for examining or evaluating any third party products or services and we do not warrant their offerings. We do not guarantee that the terms or rates offered by any particular advertiser, business partner, affiliate, Service Provider or other third party on or through our Services are the best terms or lowest rates available in the market. WE DO NOT MAKE, AND EXPRESSLY DISCLAIM, ANY REPRESENTATIONS, WARRANTIES OR GUARANTEES, EXPRESS OR IMPLIED, REGARDING THE ACCURACY, CORRECTNESS, OR COMPLETENESS OF THE CONTENT OR THE SERVICES AND PRODUCTS ASSOCIATED WITH OUR SERVICES, OR THE SAFETY, RELIABILITY, TITLE, TIMELINESS, COMPLETENESS, MERCHANTABILITY, CONFORMITY OR FITNESS FOR A PARTICULAR PURPOSE OF THE CONTENT OR THE SERVICES AND PRODUCTS ASSOCIATED WITH OUR SERVICES. IT IS YOUR SOLE RESPONSIBILITY TO INDEPENDENTLY EVALUATE THE ACCURACY, CORRECTNESS OR COMPLETENESS OF THE CONTENT AND THE SERVICES AND PRODUCTS ASSOCIATED WITH OUR SERVICES. WE MAKE NO REPRESENTATION, WARRANTY OR GUARANTEE THAT THE CONTENT THAT MAY BE AVAILABLE FOR DOWNLOADING FROM OUR SERVICES IS FREE OF INFECTION FROM ANY VIRUSES, WORMS, TROJAN HORSES, TRAP DOORS, BACK DOORS, EASTER EGGS, TIME BOMBS, CANCELBOTS OR OTHER CODE OR COMPUTER PROGRAMMING ROUTINES THAT CONTAIN CONTAMINATING OR DESTRUCTIVE PROPERTIES OR THAT ARE INTENDED TO DAMAGE, DETRIMENTALLY INTERFERE WITH, SURREPTITIOUSLY INTERCEPT OR EXPROPRIATE ANY SYSTEM, DATA OR PERSONAL INFORMATION. WE DO NOT MAKE ANY REPRESENTATIONS, WARRANTIES OR GUARANTEES, EXPRESS OR IMPLIED, REGARDING ANY QUOTES OR OFFERS PROVIDED ON OR THROUGH OUR SERVICES. WITHOUT LIMITING THE FOREGOING, YOU ACKNOWLEDGE AND AGREE THAT WE ARE NOT A FINANCIAL INSTITUTION, INSURANCE PROVIDER, CREDIT CARD PROVIDER, SENIOR LIVING PROVIDER OR OTHER SERVICE PROVIDER. YOU ACKNOWLEDGE AND AGREE THAT WE ARE SOLELY AN INTERMEDIARY BETWEEN YOU AND SUCH SERVICE PROVIDERS AND, THEREFORE, WE EXPRESSLY DISCLAIM ANY AND ALL LIABILITY FOR ANY CONTENT, PRODUCTS OR SERVICES PROVIDED BY SUCH SERVICE PROVIDERS. 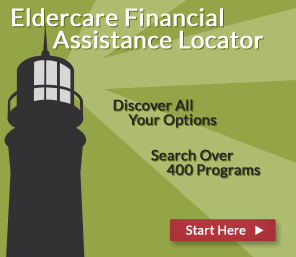 CARING OFFERS INFORMATION RELATED TO CARE GIVING WHICH INCLUDES MEDICAL, LEGAL, FINANCIAL, HOUSING, AND OTHER INFORMATION RELATED TO CARE GIVING. THIS INFORMATION IS PROVIDED TO YOU FOR EDUCATIONAL AND INFORMATIONAL PURPOSES ONLY. ANY INFORMATION FOUND ON CARING IS NOT A SUBSTITUTE FOR OBTAINING SPECIFIC MEDICAL, LEGAL, FINANCIAL, OR OTHER PROFESSIONALCARING OFFERS INFORMATION RELATED TO CARE GIVING WHICH INCLUDES MEDICAL, LEGAL, FINANCIAL, HOUSING, AND OTHER INFORMATION RELATED TO CARE GIVING. THIS INFORMATION IS PROVIDED TO YOU FOR EDUCATIONAL AND INFORMATIONAL PUOLELY AT YOUR OWN RISK. ALWAYS SEEK THE ADVICE OF A PHYSICIAN, ATTORNEY, FINANCIAL, ADVISOR OR OTHER PROFESSIONAL OR LICENSED ADVISOR. NEVER DISREGARD MEDICAL, LEGAL, FINANCIAL, OR OTHER PROFESSIONAL OR LICENSED ADVICE OR DELAY IN SEEKING IT BECAUSE OF SOMETHING YOU HAVE READ ON CARING. NOTHING STATED OR POSTED ON THIS WEBSITE OR AVAILABLE THROUGH ANY SERVICES IS INTENDED TO BE, AND MUST NOT BE TAKEN TO BE, THE PRACTICE OF MEDICINE OR LAW; OR FINANCIAL, PROFESSIONAL, OR LICENSED SERVICES. FOR PURPOSES OF THIS AGREEMENT, THE PRACTICE OF MEDICINE INCLUDES, WITHOUT LIMITATION, PSYCHIATRY, PSYCHOLOGY, PSYCHOTHERAPY, OR PROVIDING HEALTH CARE TREATMENT, INSTRUCTIONS, DIAGNOSIS, PROGNOSIS, OR ADVICE. CARING PROVIDES NO ASSURANCES THAT THE INFORMATION CONTAINED IN THIS WEBSITE WILL ALWAYS INCLUDE THE MOST RECENT FINDINGS OR DEVELOPMENTS WITH RESPECT TO THE PARTICULAR MATERIAL. Your access or use of our Website and our services does not create in any way a physician/patient, attorney/client, confidential, or privileged relationship, or any other relationship that would give rise to any duties on Caring's part or the part of our suppliers, distributors, partners, and/or affiliates. We do not recommend or endorse any specific tests, physicians, attorneys, advisors, caregivers, procedures, opinions, advice, or other information that may appear on our Website. If you rely on any of the information provided by our Website, its employees, consultants, or its guests or visitors, you do so solely at your own risk. The Content is intended only to assist you with senior living decisions and is broad in scope and does not consider your personal situation. Your personal situation is unique and the information and advice may not be appropriate for your situation. Accordingly, before making any final decisions or implementing any strategy, we recommend that you obtain additional information and advice of your accountant and other financial advisors who are fully aware of your individual circumstances. WE SHALL IN NO EVENT BE RESPONSIBLE TO, OR LIABLE TO, YOU, OR ANY THIRD PARTY, WHETHER IN CONTRACT, WARRANTY, TORT (INCLUDING NEGLIGENCE) OR OTHERWISE, FOR ANY DAMAGES, INCLUDING, BUT NOT LIMITED TO, SPECIAL, INCIDENTAL, INDIRECT OR CONSEQUENTIAL DAMAGES THAT INCLUDE, BUT ARE NOT LIMITED TO, DAMAGES FOR ANY LOSS OF PROFIT, REVENUE OR BUSINESS, AS A DIRECT OR INDIRECT RESULT OF: (I) YOUR BREACH OR VIOLATION OF THE TERMS AND CONDITIONS OF THIS AGREEMENT; (II) YOUR ACCESS AND USE OF OUR SERVICES; (III) YOUR DELAY IN ACCESSING OR INABILITY TO ACCESS OR USE OUR SERVICES FOR ANY REASON; (IV) YOUR DOWNLOADING OF ANY OF THE CONTENT OR THE COLLECTIVE WORK FOR YOUR USE; (V) YOUR RELIANCE UPON OR USE OF THE CONTENT OR THE COLLECTIVE WORK, OR (VI) ANY INFORMATION, SOFTWARE, PRODUCTS OR SERVICES OBTAINED THROUGH OUR SERVICES, OR OTHERWISE ARISING OUT OF THE USE OF OUR SERVICES, WHETHER RESULTING IN WHOLE OR IN PART, FROM BREACH OF CONTRACT, TORTIOUS BEHAVIOR, NEGLIGENCE, STRICT LIABILITY OR OTHERWISE, EVEN IF WE AND/OR OUR SUPPLIERS HAD BEEN ADVISED OF THE POSSIBILITY OF DAMAGES. OUR LIABILITY AND THE LIABILITY OF OUR AFFILIATES, DIRECTORS, OFFICERS, EMPLOYEES, INDEPENDENT CONTRACTORS, SHAREHOLDERS, REPRESENTATIVES, AND AGENTS ARISING OUT OF THIS AGREEMENT SHALL NOT EXCEED 00. In the event that any limitation on the period of time for bringing an action, claim, dispute or proceeding against us, located in this "Limitations on Our Liability" section, is determined or held to be inapplicable or unenforceable by any court, arbitration panel or other tribunal, then the statute of limitations for the State of Florida, including but not limited to Florida Statutes Section 95, shall apply to any such action, claim, dispute or proceeding referred to final or binding arbitration. You shall defend, indemnify and hold harmless us and our officers, directors, shareholders, employees, independent contractors, agents, representatives and affiliates from and against all claims and expenses, including, but not limited to, attorneys' fees, arising out of, or attributable to: (i) any breach or violation of this Agreement by you; (ii) your failure to provide accurate, complete and current personally identifiable information requested or required by us; (iii) your access or use of our Services; (iv) access or use of our Services under any password that may be issued to you; (v) your transmissions, submissions or postings (i.e., your own User Generated Content); and/or (vi) any personal injury or property damage caused by you. You acknowledge that we may be irreparably damaged if this Agreement is not specifically enforced, and damages at law would be an inadequate remedy. Therefore, in the event of a breach or threatened breach of any provision of this Agreement by you, we shall be entitled, in addition to all rights and remedies, to an injunction restraining such breach or threatened breach, without being required to show any actual damage or to post an injunction bond, and/or to a decree for specific performance of the provisions of this Agreement. For purposes of this Section, you agree that any action or proceeding with regard to such injunction restraining such breach or threatened breach shall be brought in the courts of record of Palm Beach County, Florida, or the United States District Court, Southern District of Florida. You consent to the jurisdiction of such court and waive any objection to the laying of venue of any such action or proceeding in such court. You agree that service of any court paper may be effected on such party by mail or in such other manner as may be provided under applicable laws, rules of procedure or local rules. You and we agree that any claim or dispute at law or equity that has arisen or may arise between us relating in any way to or arising out of this or previous versions of this Agreement, your use of or access to the Services will be resolved in accordance with the provisions set forth in this Legal Disputes section. Please read this section carefully. It affects your rights and will have a substantial impact on how claims you and we have against each other are resolved. You agree that the laws of the State of Florida, without regard to principles of conflict of laws, will govern this Agreement and any claim or dispute that has arisen or may arise between you and us, except as otherwise stated in this Agreement. 1 You and we each agree to resolve exclusively through final and binding arbitration any and all disputes or claims that have arisen or may arise between you and us (including any affiliates, officers, directors, employees, and agents), whether or not such dispute or claim involves a third party, relating in any way to any aspect of our relationship or any contact between us, direct or indirect, or arising out of this or previous versions of this Agreement, your use of or access to our Services, or any products or services sold, offered, or purchased through our Services (“Dispute”). 1.1 You and we agree to submit the Dispute to a single arbitrator under the then-current Commercial Arbitration Rules of the American Arbitration Association (AAA), including when applicable the Optional Rules for Emergency Measures of Protection and the Consumer Arbitration Rules, or, by separate mutual agreement, at another arbitration institution. The AAA’s rules, information regarding initiating a claim, and a description of the arbitration process are available at www.adr.org. The location of the arbitration and the allocation of fees and costs for such arbitration shall be determined in accordance with the AAA rules. As an alternative, you or we may bring a claim in your local “small claims” court, if permitted by that small claims court’s rules. 1.2 The Federal Arbitration Act governs the interpretation and enforcement of this section regarding our agreement to arbitrate any Dispute (“Agreement to Arbitrate”), and the arbitrability of the Dispute. The arbitrator will decide whether the Dispute can be arbitrated. 1.3 You and we agree that each of us may bring a Dispute against the other only on our own behalf, and not on behalf of a government official or other person or entity, or a class of persons or entities. You and we agree, if we are a party to the proceeding, not to participate in a class action, a class-wide arbitration, a claim brought in a private attorney general or representative capacity, or a consolidated claim involving another person’s use of the site or our services. You and we agree not to combine a claim that is subject to arbitration under this Agreement with a claim that is not eligible for arbitration under this Agreement. You and we agree to waive the right to a trial by jury for all disputes. 1.4 You may opt out of this Agreement to Arbitrate. If you do so, neither you nor we can require the other to participate in an arbitration proceeding. To opt out, you must notify us in writing, within 30 days of the date that you first became subject to this Agreement to Arbitrate, either by U.S. mail delivered to: Attn: Legal Department, Caring.com, 2600 South El Camino Real, Ste. 300, San Mateo, CA 94403, or by email delivered to [email protected]. You must include: (1) your name and residence address; (2) the email address and/or mobile telephone number associated with your account; and (3) a clear statement that you want to opt out of this Agreement to Arbitrate. 1.5 If the prohibition against class actions and other claims brought on behalf of third parties contained in Section 1.3, above, is found to be unenforceable, then all of Section 1 will be null and void as to that Dispute. 1.6 This Agreement to Arbitrate will survive the termination of your relationship with us. 2 Unless you and we agree otherwise, if you opt out of the Agreement to Arbitrate, if the Agreement to Arbitrate is found by a court to be unenforceable, if your claim is not covered by the Agreement to Arbitrate, or if you neither are a resident of nor have a principal place of business in the US or Canada, you agree that any Dispute that has arisen, or may arise, between you and us must be resolved exclusively by a state or federal court located in Palm Beach County, Florida. You and we agree to submit to the personal jurisdiction of the courts located within Palm Beach County, Florida for the purpose of litigating all such claims or disputes. 3 Notwithstanding any provision in the Agreement to the contrary, you and we agree that if we make a change to this Agreement to Arbitrate (other than a change to the notice address or the site link provided herein) in the future, that change shall not apply to a claim that was filed in a legal proceeding between you and us prior to the effective date of the change. The change shall apply to all other disputes or claims governed by the Agreement to Arbitrate that have arisen, or may arise, between you and us. We will notify you of a change to this Agreement to Arbitrate by posting the amended terms on our Services at least 30 days before the effective date of the change and/or by email. If you have questions, comments, concerns or feedback regarding this Agreement or our Services, please contact us here.